The latest update carries the build number XT1663_S356_170621_ROW and weighs a sizeable 1.5GB. The build is being provided via OTA and updates your device to the May security patch. 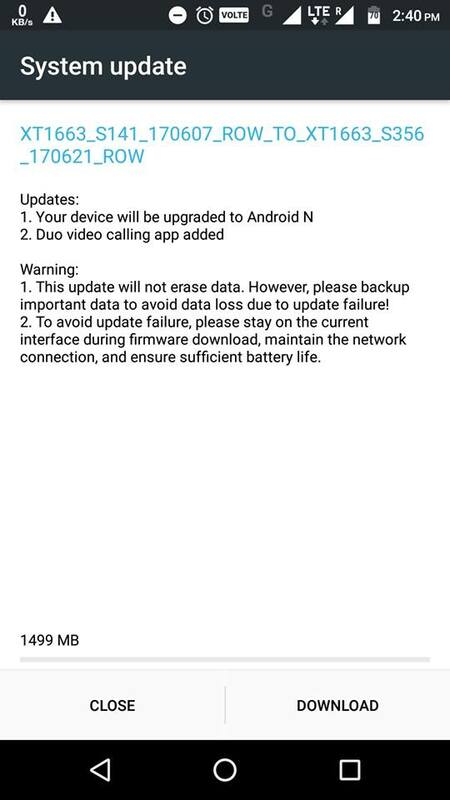 The update also installs the Duo app on your device, similar to the Moto X Style Nougat update. Moto M Nougat- What’s new? Miscellaneous improvements and stability enhancements.